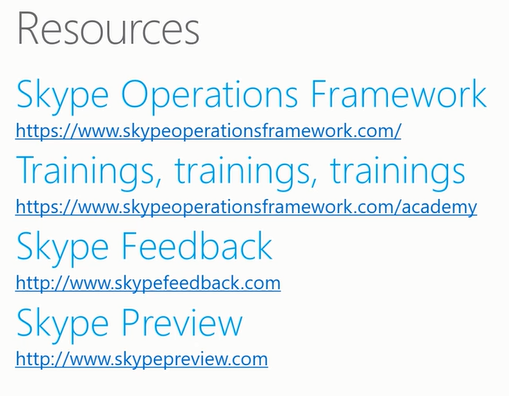 With the recent release of Cloud Connector v2 there’s some great new features and updates to CCE so wanted to summarise the Skype academy video. There’s tons of useful information in here so hope you find it useful. 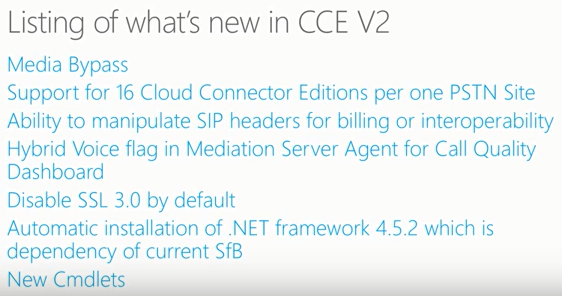 CCE v2.0.0 was released and straight after Microsoft provided some great content and learning on what’s new. 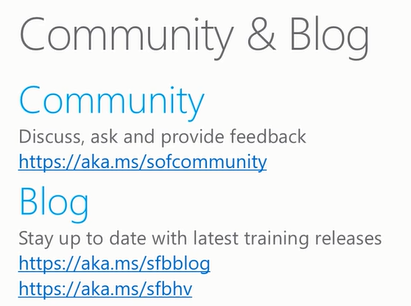 Thanks Microsoft for very speedy information to the community. Check out the resources at bottom of post as well. 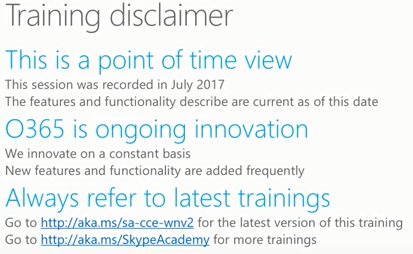 Usual training disclaimer on Office 365 being subject to change and this ther July 2017 edition. Also a member of extended hybrid voice team and working with developers on CCE since the first release. support for 16 CCEs in one pstn site up from 4 ! it now has 4x capacity ! What’s new in CCE V2 ? Wow what a list !!! More details on each further on. Lets breakdown. 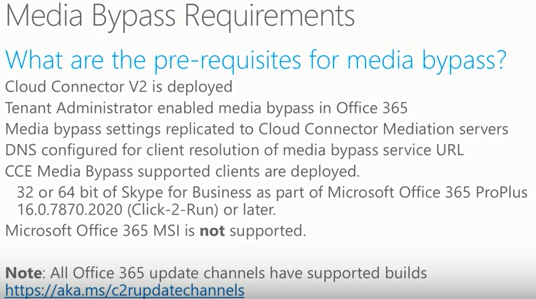 Currently only supported version for CCE media bypass is office 365 pro plus click to run 32 and 64bit version 16.0.7870.2020 or later. Microsoft Office MSI is not supported ! 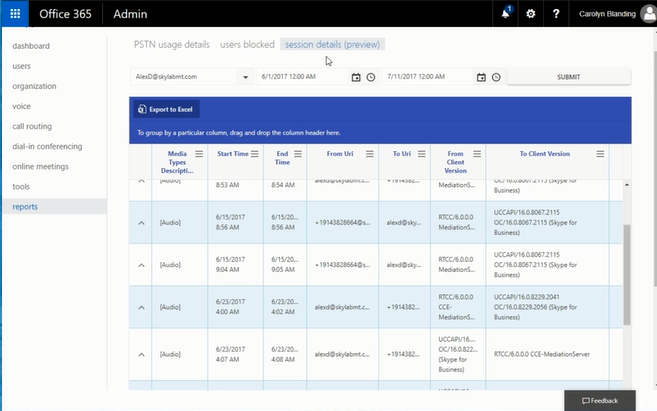 this again show new features are coming cloud first and the push to move your office installs to office 365 pro plus. previously there was support for 4 CCES per PSTN site in a N+1 config where one CCE was was reversed for HA. Each CCE could support 500 simultaneous calls so totalling 1500 simultaneous calls per pstn site. Now with 16 CCEs per pstn site in N+1 it provides 7,500 simultaneous calls and that’s without media bypass !! This means can support more sim calls in single pstn site, for example before V2 if a company needs to support 5000 calls in one DC where CCE is deployed previously they would need to setup 4 pstn sites and split users across pstn sites even though all CCEs were physically located on the data centre, by supporting 7500 its reduced the requirement for more pstn sites and users dont have to be split up. Makes its easier to manage. Prior to v2 the only way to modify sip[ headers was administrators connecting to mediation servers and modifying sip trunk setting but during upgrades the settings while lost. CCE updates then had to set to manual, CCE then updated and then setting configured back again. This is now persistent and the following settings if changed are kept during CCE upgrades. Enablefastfailover timer – default is true, when true the 183 progress must return in 10 seconds. Certain network conditions has caused this to not response in 10 second so this can be set to false. Forward call history – default is fales, history info useful in sim ring and call forward and refereed by useful for call transfer, this is useful for billing purposes and caller id purposes when sbc to replace caller id. 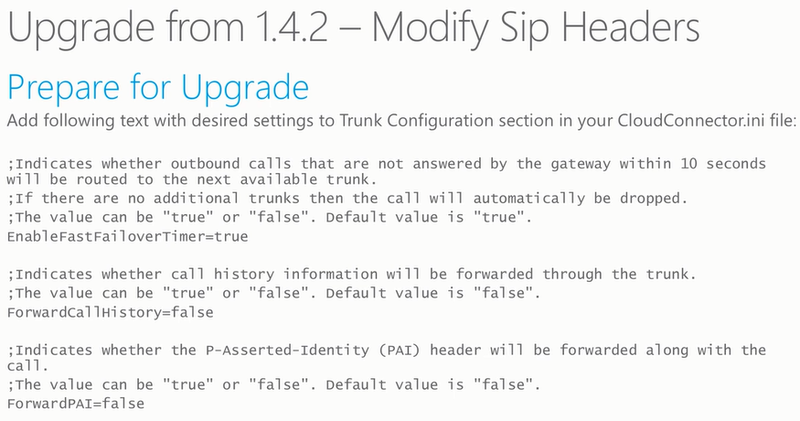 Forward PAI – default false, when true the P asserted identity headers with sip and tel uri from cce mediation to sip trunks. used when call history not available. please see url below for more info. 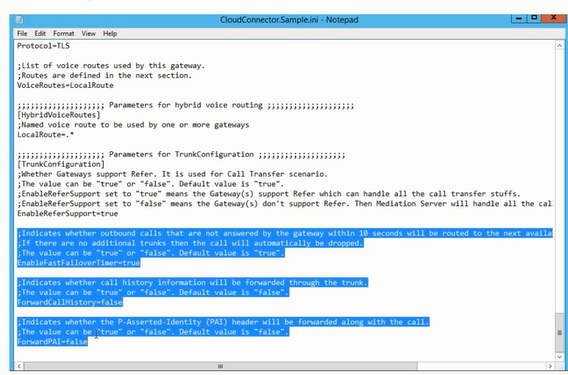 Set to unique flag so CCE calls can be easily identified from calls placed by other trunks. The user agent was previously reported as “Mediation Server” which is indistinguishable from other SfB Trunks. Now it shows unique CCE-MediationServer example above show version number as well. This is Call analytics preview in sfb admin centre, in this example a user search is done and a call is selected. Alex is an online user and Alex uses CCE for PSTN calls, under systems you can see the mediation server that part of CCE, and under user agent we see CCE mediation server agent. searched for Alex again and we can see CCE mediation server agent. CCE does not use SSL and does not require SSL enabled. Please url for security advisory and recommendation on disabling when not needed. CCE host must always have internet connectivity and it required this to download 4.5.2 to host machine so its available. Admins of large deployments can prepare the vhds with .Net 4.5.2 to speed up deployment times. to do this admins can use convert-ccisotovhdx cmdlet and use pause before update switch this allows admin to connect to base vm and install windows updates and .NET 4.5.2 on the base vhd. The new cmdlet are added to SfB Online one for media bypass and two on network. Please refer. Used to update configuration, if you update CCE config file. 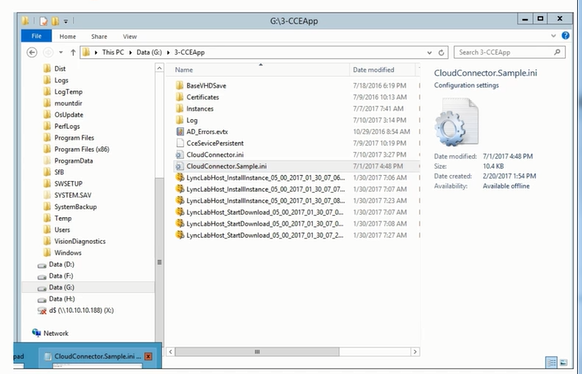 cloudconnector.ini after changes you must use import-ccconfiguration. It does auto run but still best practice after any manual change to use the cmdlet. Example if you you change config file to use WSUS server. 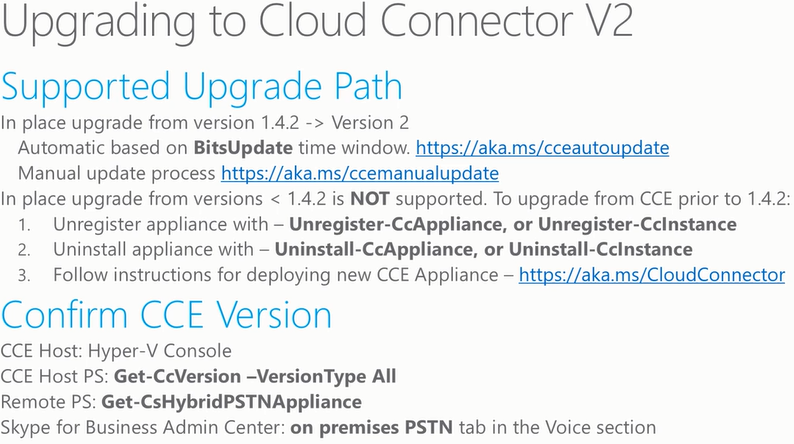 CCE requires an O365 tenant admin account to manage CCE services online, prior to V2 this required an account that was a global administrator. 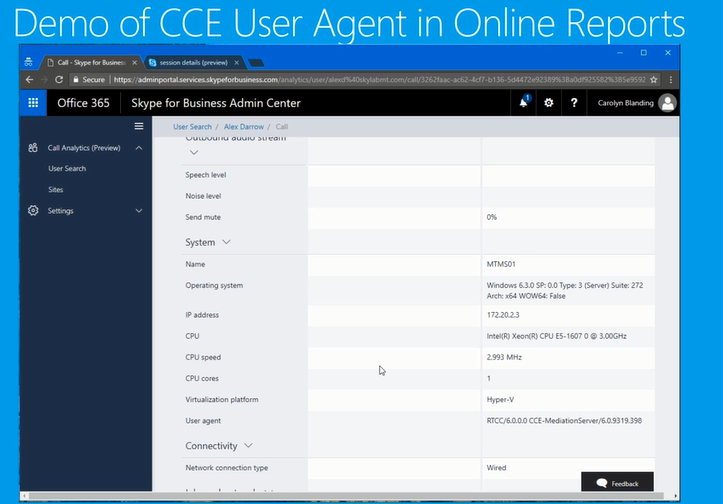 With V2 its supported to use a tenant admin account with Skype for Business administrator role is sufficient for managing CCE services online. If password expiry is set you need to use set-cccredential to update credentials. To reduce password for CCE in V2 and reduce complexity. Note CCEService and CABackupfile must be the same for all CCE per site. 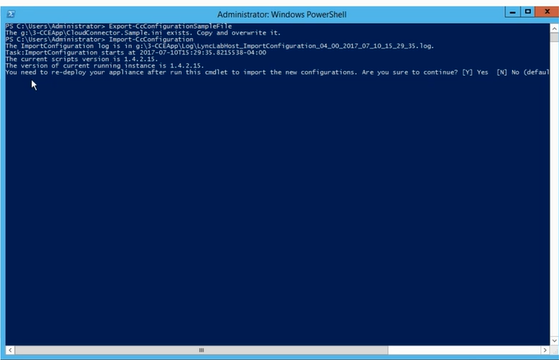 previously we used the cce management switch for all connectivity between host and vms for PowerShell. feedback to customer was that this was great as it caused network disrupts. CCE v2 now reduces the amount or connections and disconnections, now only used for new deployment or upgrade. The SfB CCE Corpnet switch will not be used which reduces the number of connections and disconnections. search of clslogging will now be alot faster as network connections are already established. Since corpnet switch is used now the network adapter bound the cce corpnet network switch must have an ip address assigned in the same subnet as the CCE corporate network. This can be an alternative ip address. before the management switch was matched on the same subnet. 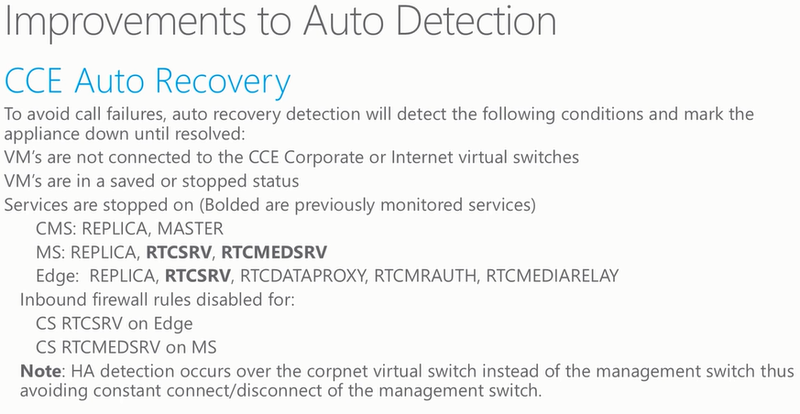 There has been some updates to auto detection for CCE recovery to avoid call failures. Maintenance you have to out CCE in maintenance mode so its doesn’t. cannot be set from false to true. You can change domain admin or vmadmin using set-cccredentials as above. Supported path from version 1.4.2 to version 2 if auto update available then it will autoupdate at scheduled update window. Manual update process is available if autoupdate disabled. In this case you need to unregister appliance, uninstall appliance and deploy new CCE. 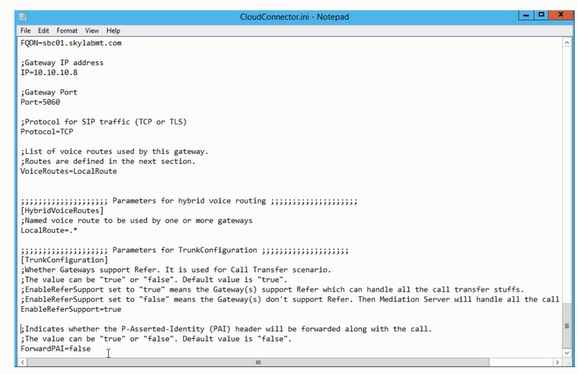 To confirm CCE several ways, hyper v console, remote PowerShell and SfB admin centre. more details above. 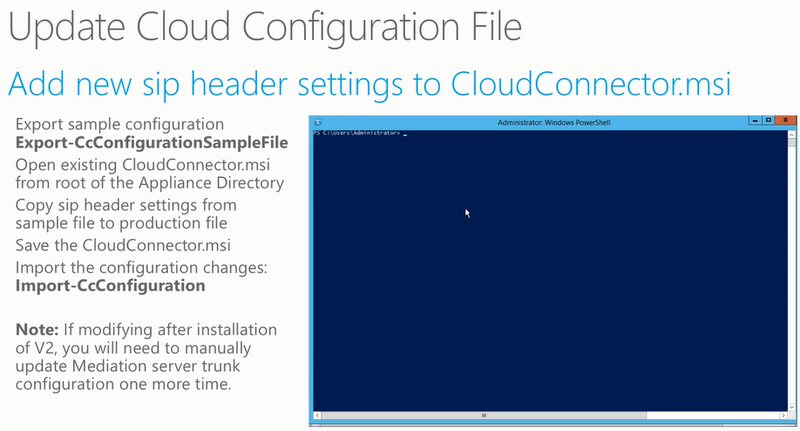 when upgrading to V2 you need to update cloud connector configuration file with the new sip header setting to cloudconnector.msi. paste into your file, save and import. If advanced notice is possible or more likely to have auto upgrade off due to trunk config you can modify trunk config file prior to v2 upgrade. If different domain admin password may be in place if password changed after deployment. You can use the get-cccredential. if you have this the steps are listed above. from 1.4.2 we don’t prompt for CCEService password the VMAdmin password aka local admin password will be used for cce service password. This password needs to to be same so best to confirm password are the same across all appliances.